Glitter Birthday Celebration Crown Sml. 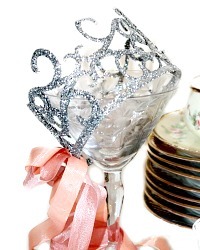 Catalog > Glitter Birthday Celebration Crown Sml. 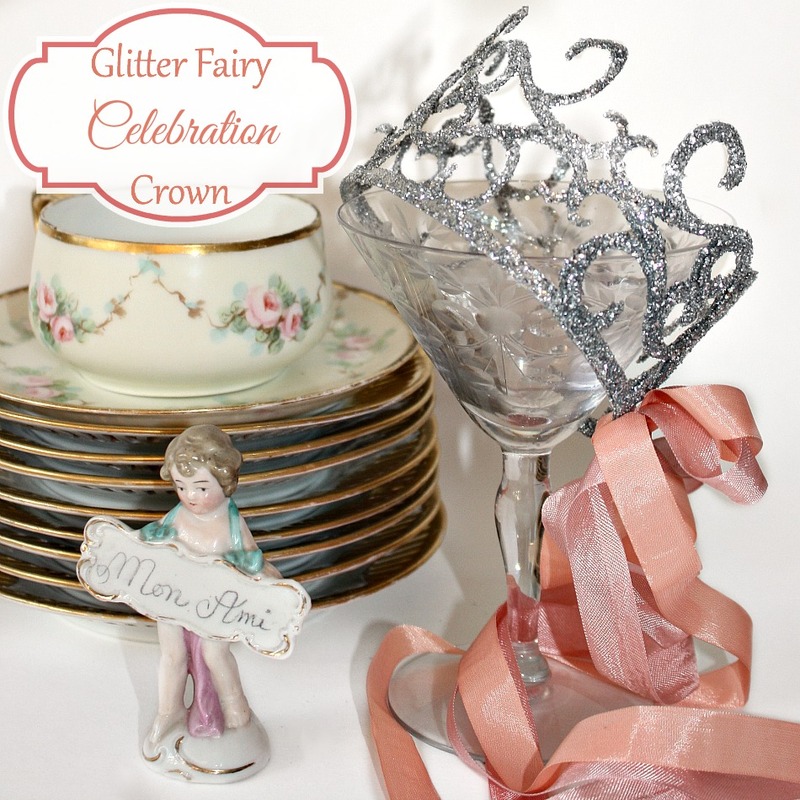 Delicate Glitter Celebration Birthday Crown, so enchantingly lightweight, it seems to have been made by fairies! Covered in silver Glitter, comes tied with a silky ribbon bow. 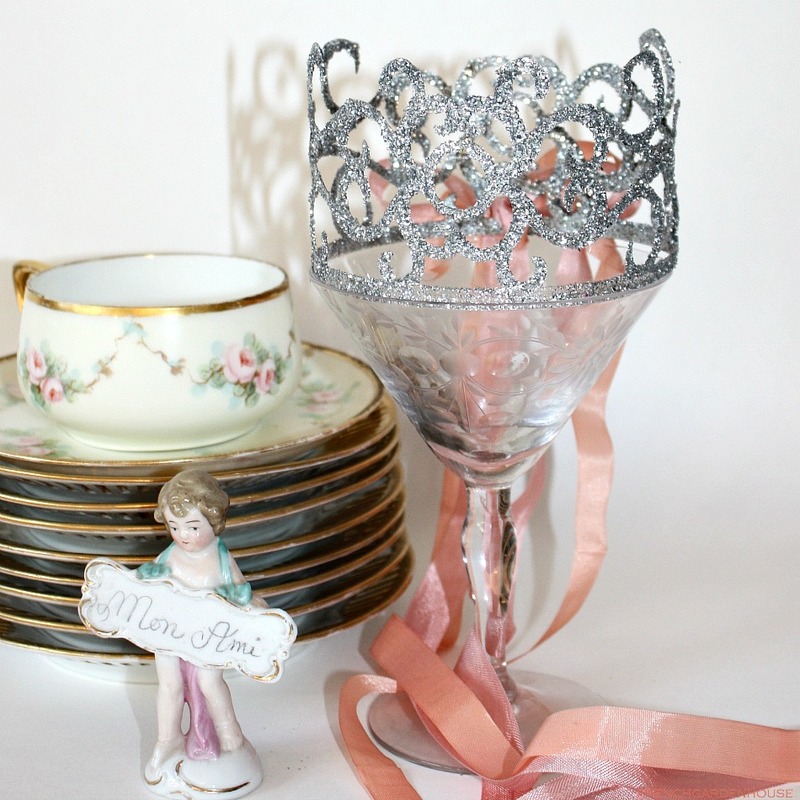 This is the Petite size crown, absolutely perfect to add to a special birthday gift, or any gift for someone who should be decked out in a tiny, sparkling decorative crown. 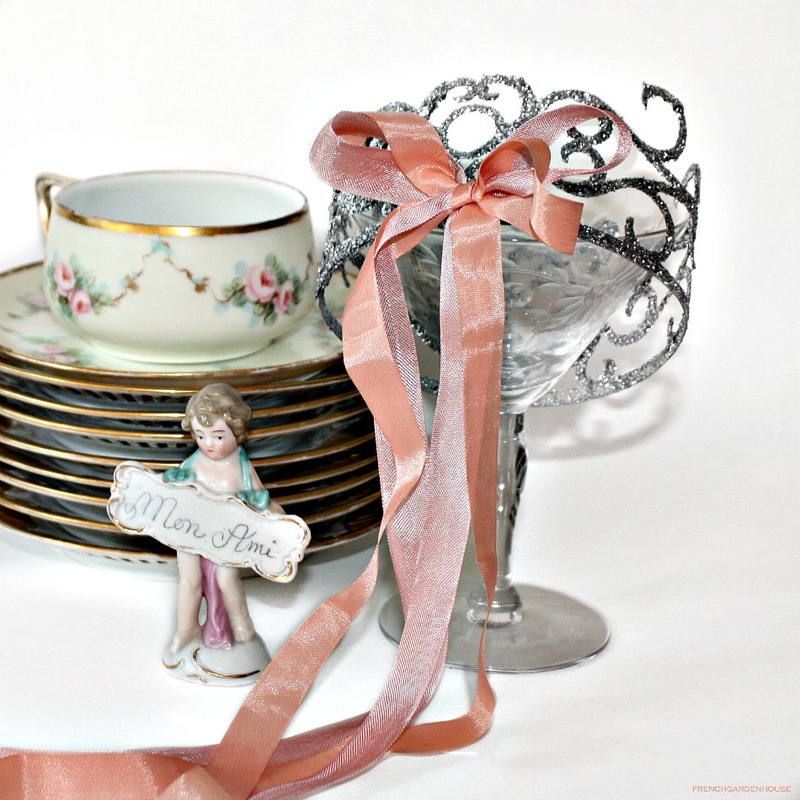 Wonderful for photo sessions, too! Made of laser cut acetate ribbon, tie one to a bottle of champagne for a stunning and fun gift for a friend! Measures about 4" x 2-1/2". 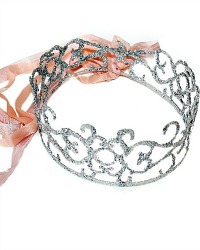 Glitter Birthday Celebration Crown Tiara Lrg.